Each year St. Croix Tissue’s manufacturing facility is assessed to be certified as meeting the requirements of Good Manufacturing Practice (GMP) as set forth by the Codex Alimentarius Commission, Recommended International Code of Practices for General Principles of Food Hygiene. Why is this certification important? The jumbo rolls of tissue manufactured in the mill can be converted to make items used for food contact, such as kitchen towels and napkins; or for direct skin contact, such as facial tissues, dinner napkins or bathroom tissue. St. Croix Tissue’s GMP program monitors every aspect of the tissue making operation to demonstrate that the process is well under control. The management system encompasses all operations from start to finish; the purchase of raw materials, the different stages used to make the tissue, testing, finishing and shipping of the jumbo reels. An appropriate level of cleanliness, in terms of “good housekeeping”, must be maintained throughout the entire process to ensure product hygiene for the end user. The mill strives to continually improve the quality, hygiene and safety of the products it makes. Success in the GMP program takes teamwork and attention to detail from every employee daily. St. Croix Tissue is proud to have received a 99/100 rating for the second year in a row during their recent external audit of the GMP program. 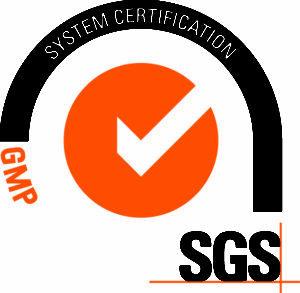 To access St. Croix Tissue’s current GMP Certificate as issued by external auditor SGS North America Inc., please click on the SGS logo below.